Working in partnership with schools and our local community. Children are less active than they were 20 years ago. It’s a fact. As a nation, we have some of the worst child obesity in the western world. 1 in 3 children now leave primary school overweight or obese. Plus, 1 in 5 girls and 1 in 4 boys don’t do any sport outside of school. Better academic performance. Better behaviour. Better health. Better lives. 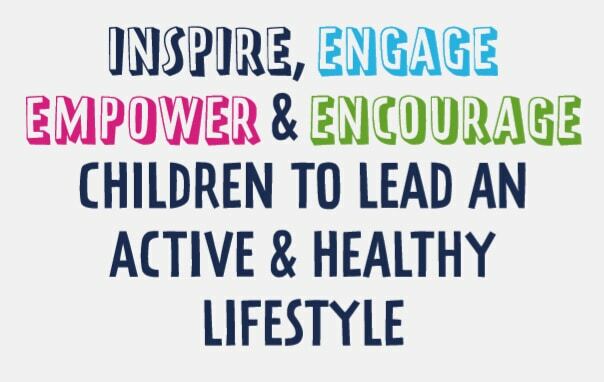 Our mission is to cheerlead all the benefits of being active and reverse the decline of physical activity by working with schools and in our local community to not only provide opportunities but help children to enjoy being active. children each week are active through our programmes. schools working in partnership with us nationwide. minutes of physical activity delivered every day. We offer a range of services to encourage children to be physically active. Our aim is to inspire and encourage children to be physically active by working with as many primary schools as possible. If you are always scratching around for ideas of how to entertain the children during the school holidays, then look no further, as Progressive Sports offers Multi-Sport Fun Weeks, Dance and Gymnastics Courses throughout the year. If you are looking for the best kids party ever! Then you’ve just found it. We have a number of different party options your child will love, click here to find out more information. Whether you are looking for an apprenticeship or you are looking for your next career progression. If you are passionate about encouraging children to be physically active and you have the right attitude and skills, then we’d love to hear from you. If you have any questions please fill in the form and we'll be happy to help.